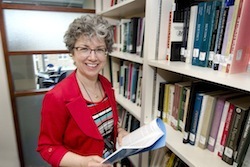 Dr. Randi Zlotnik Shaul is the Director of Bioethics at The Hospital for Sick Children. Dr. Zlotnik Shaul provides ethics consultation services and policy support to individuals and committees within the hospital, teaches health-care professionals and bioethics students, and conducts bioethics research. Randi has a Bachelor of Arts in Political Science from McGill University, a law degree from Osgoode Hall Law School, and a Master of Laws in health law and a PhD in Bioethics from the University of Toronto. Before graduate school, Randi was called to the Ontario Bar and practiced law with the Legal Services Branch of the Ontario Ministry of Health. She publishes on issues at the interface of law and ethics, including priority setting, accountability and paediatric patient and family-centred care. Randi is an Associate Professor in the Department of Paediatrics at the University of Toronto, has an appointment in the Department of Surgery and is a member of the University of Toronto Joint Centre for Bioethics. She was an active member of The Hospital for Sick Children’s Research Ethics Board for over 10 years.